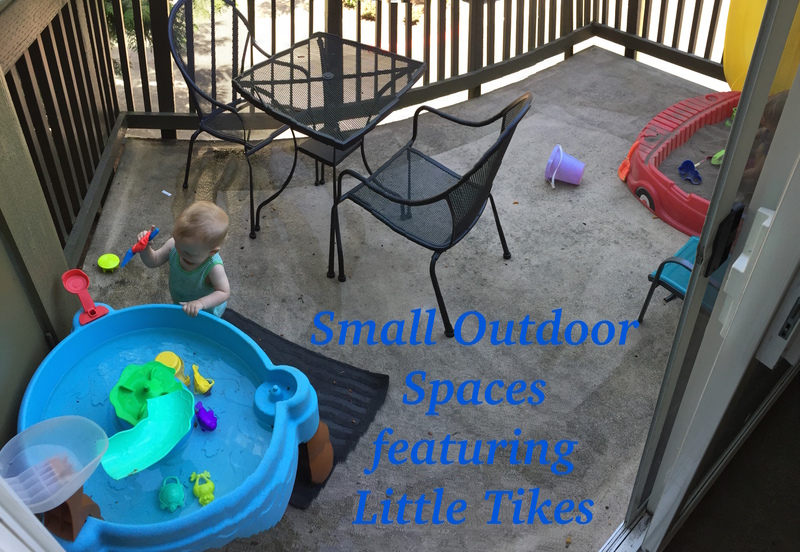 This is post #2 in a series about small spaces with Little Tikes you can read my first post here. 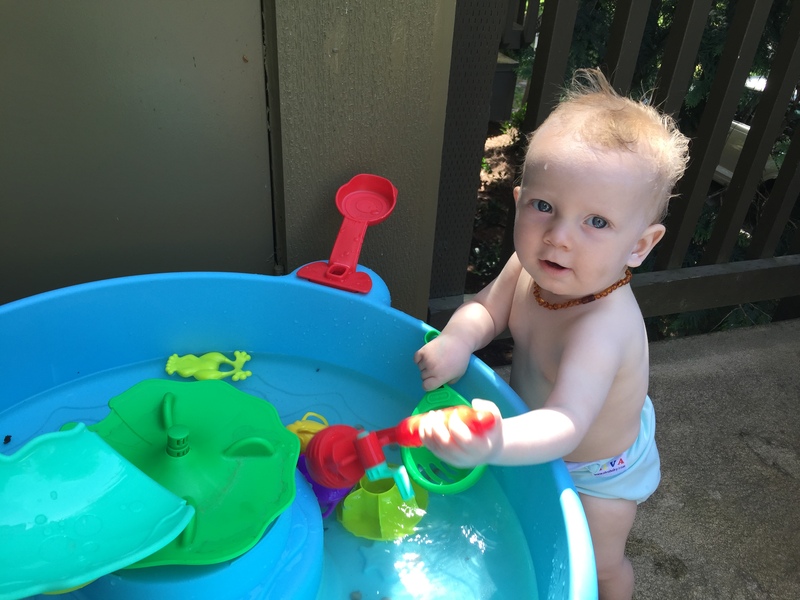 While a sandbox might not be on every parents list of desired outdoor items a water table should be. Water tables easily provide hours of fun for littles and it is a great way for them to cool off. I really don’t know why we didn’t get one sooner. 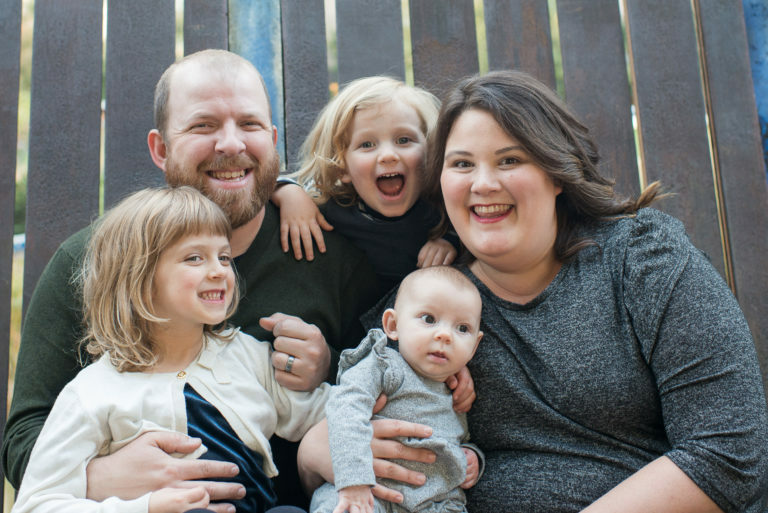 In previous years we used an old plastic tote box for Edith to splash around in and a small kids pool but in our new space we couldn’t have the pool and a standing water table just seemed like a much better idea for both kids. 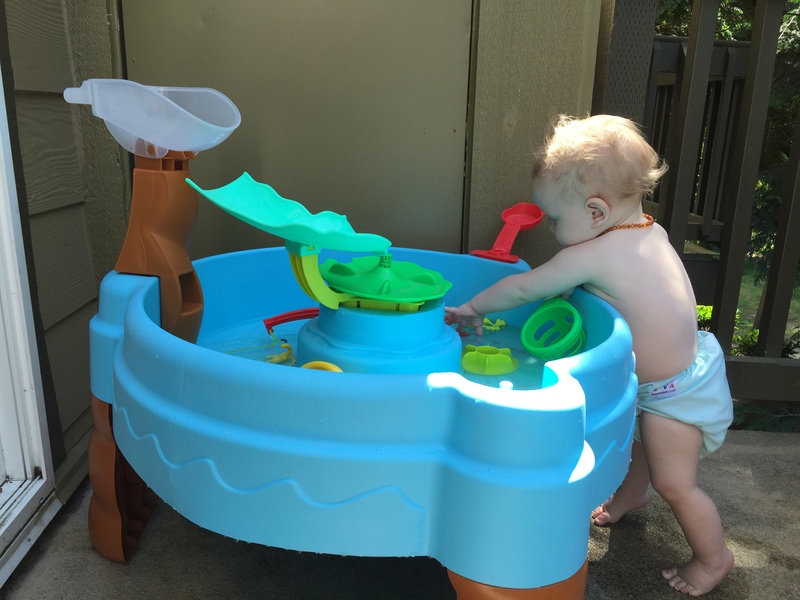 This Little Tikes Fish ‘n Splash Water Table™ is great because it’s the perfect height for both Edith and Alder to play. It also comes with a cup, a little net, and some super cute water animals. If Alder could he would probably spend all of his time playing at the water table. I mean as soon as I open our sliding door he is making a beeline for the water table and has a meltdown if he doesn’t make it before I shut the door. The only thing that I wish that this water table had was a little sun umbrella but we have made it work by putting it in a shaded spot on our balcony. I do love that it has a little drain in the bottom which makes it easy to change the water. 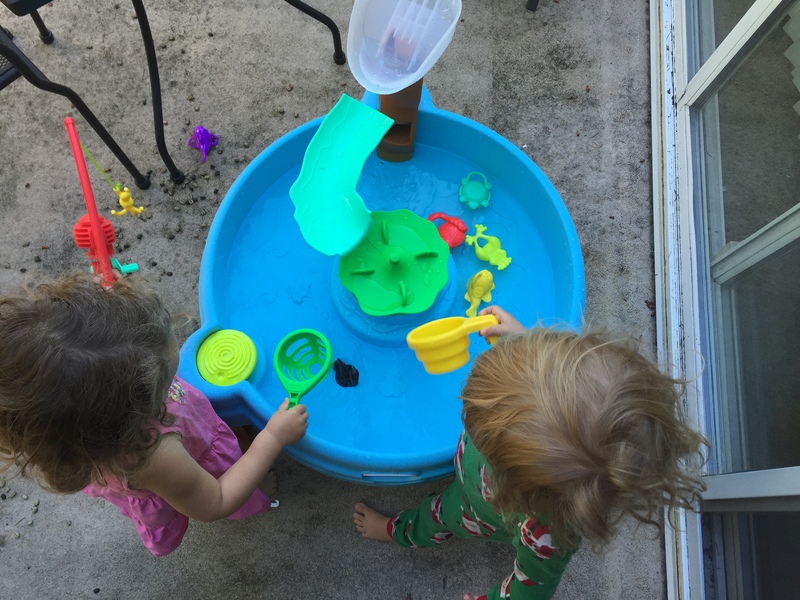 I have a feeling this water table will be something we use for years with both kids. 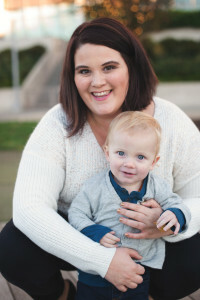 Do you have a water table? Disclaimer: Little Tikes provided with us this sandbox at no cost. We did NOT receive any compensation for this post.